Hunger Task Force operates a 208-acre urban farm to grow more than 500,000 pounds of fresh, healthy produce for Milwaukee’s hungry. The Hunger Task Force Farm is a unique 208-acre urban farm in the suburb of Franklin. During the growing season, The Farm infuses half a million pounds of fresh fruits and vegetables into our food bank’s supply, enhancing the nutrition of those who normally rely on canned or nonperishable foods. Hunger Task Force Farmers grow a variety of different produce, including peppers, tomatoes, corn, watermelon, beans, spinach, greens, broccoli, cauliflower, apples, pears and more. Last year, Hunger Task Force delivered more than 9 million pounds of food to serve Milwaukee’s hungry. The Farm grows a wide variety of crops to ensure hungry families have access to culturally appropriate foods, rounding out pantry food options with fresh produce rarely found on pantry shelves. 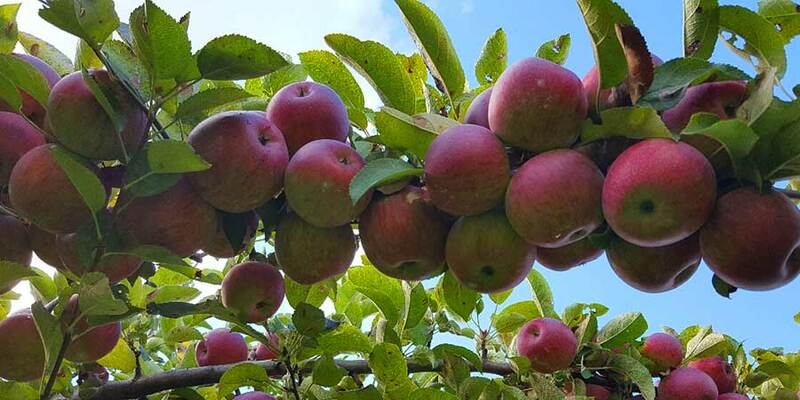 Our pear and apple orchards stretch across 12 acres of land and produce 30,000 pounds of fruit each harvest season. Typically, four unique crops are harvested and prepared for delivery each day. Additionally, Harley-Davidson has been a strong supporter of the Hunger Task Force Farm since 2012, when it was established as a Signature Program. In 2018, Harley-Davidson announced that they would keep their commitment to the community a priority, helping Milwaukeeans in need with another 3-year sponsorship of The Farm! A farmer named Edmund Carman purchased 160 acres of farmland in 1839, creating the Carman family dairy farm and homestead (before Wisconsin was even a state!). The Burwood Stock Farm then purchased the property from the Carman’s in 1930 and subsequently sold it in 1946, when the Milwaukee County House of Corrections Work Farm was established. 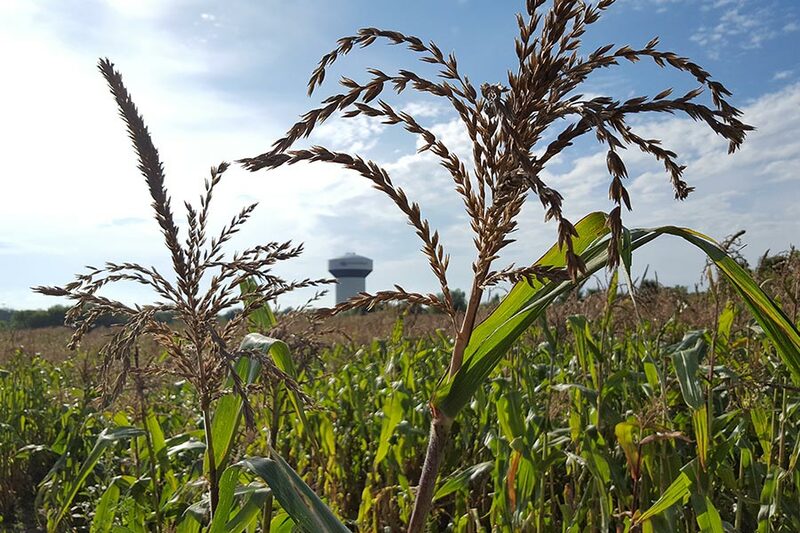 In 2012, Hunger Task Force signed a historic, 30-year lease with Milwaukee County Parks, allowing Hunger Task Force farmers to operate more than 200 acres of farmland and natural areas. Today, more than 25 different varieties of fruits and vegetables are grown each season to feed children, seniors and families in our community. The Hunger Task Force Farm practices sustainable agriculture to ensure the health of the land and of the community we serve. 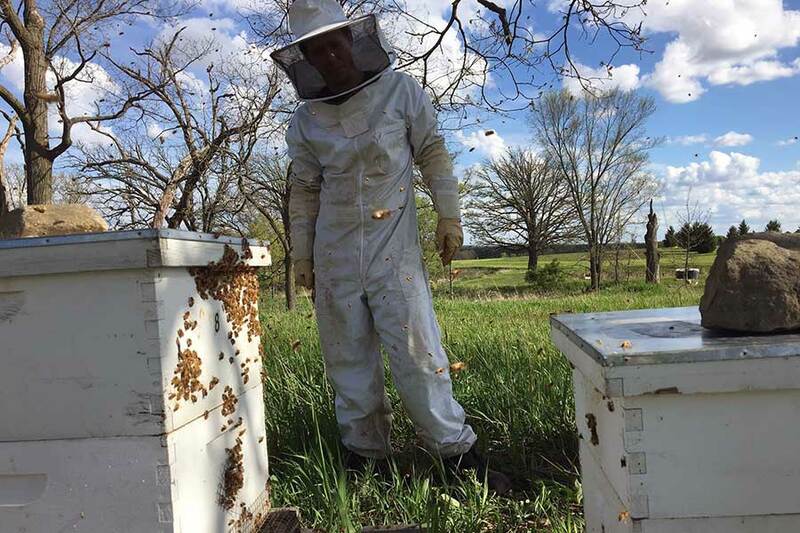 From crop rotation and integrated pest management to beekeeping and cover cropping to sustainable practices that allow us to grow a bountiful yield each year for our network and ensure that The Farm will be productive for generations to come. 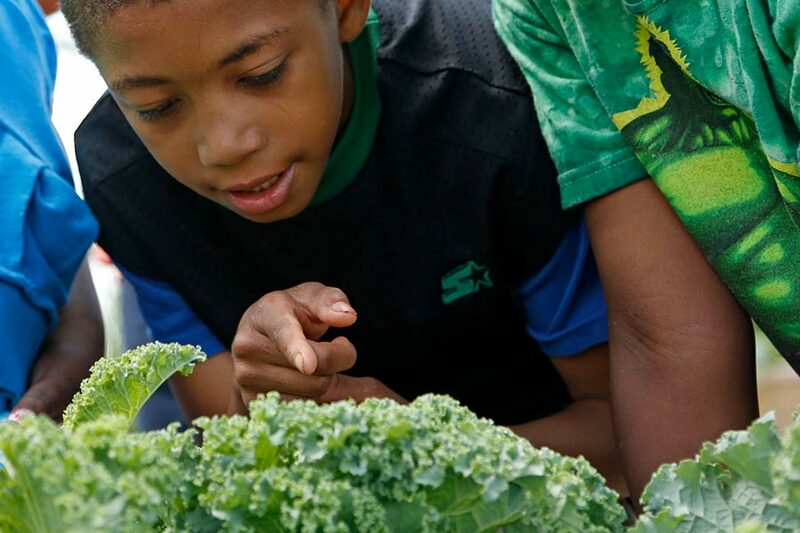 We don’t just feed kids—we also teach them about healthy eating! During the school year, the Hunger Task Force on-staff Dietitian Educator travels to local Milwaukee Public Schools teaching nutrition education to low-income kids. The children also enjoy a visit to The Farm, where they gain valuable, hands-on experience working in the school garden and demonstration kitchen. Interested in bringing a children’s group out to The Farm? Contact Kate Holter 414-639-6607 or kate.holter@hungertaskforce.org. Each year, more than 5,000 community volunteers provide the labor force that it takes to operate The Farm—from seed to harvest. Want to help? Dig in with us at The Farm today! The Farm program is made possible through dedicated community support. From volunteering during the harvest to sponsoring seed purchases and farm equipment, your gift sustains The Farm. The Adopt-A-Crop program is an opportunity to take your support of The Farm to the next level. 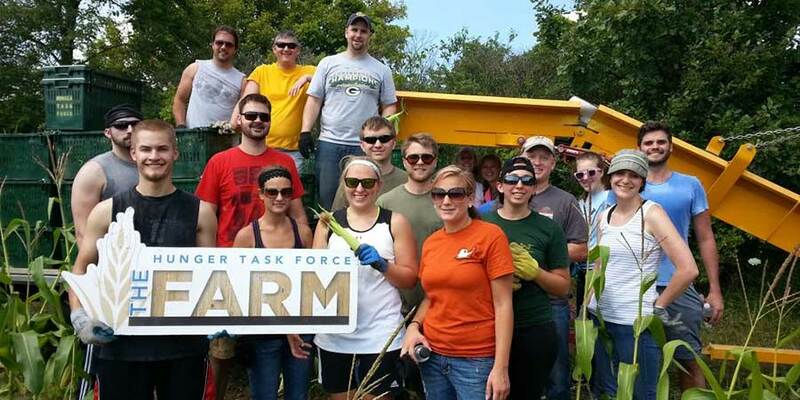 From planting sweet corn to pollinating crops, the Hunger Task Force Farm relies on the generosity of the community to continue providing healthy, fresh food to hungry Milwaukee families.